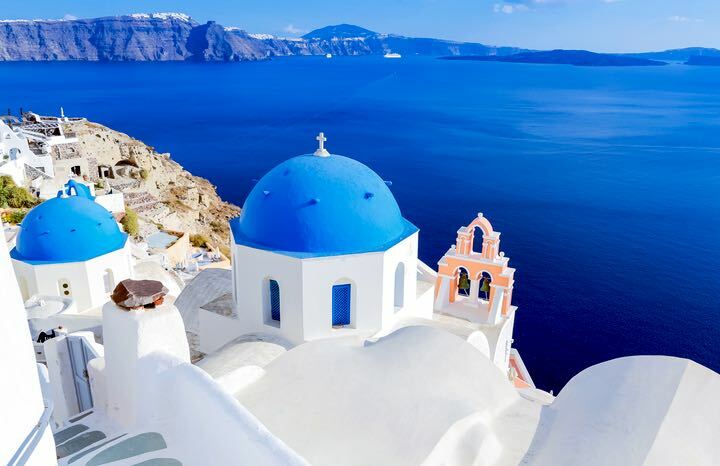 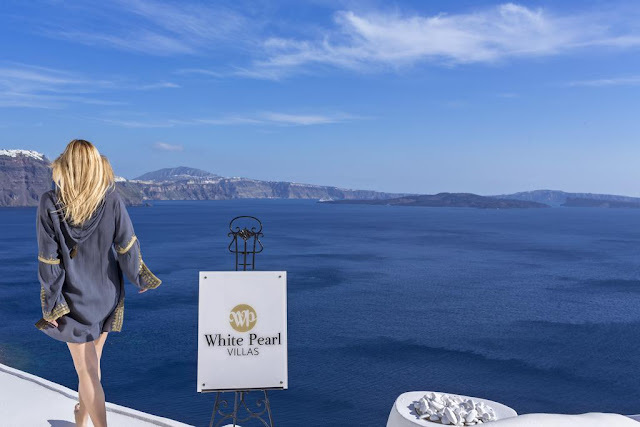 The White Pearl Villas are seductively nestled on the cliffs of Oia Santorini, where the awe-inspiring sunset dazzles the eye of the beholder with its unreal fiery mix of red, blue, yellow, and orange hues and the infinity of the azure water stretching to the horizon. 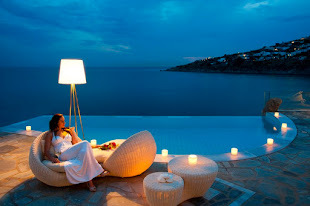 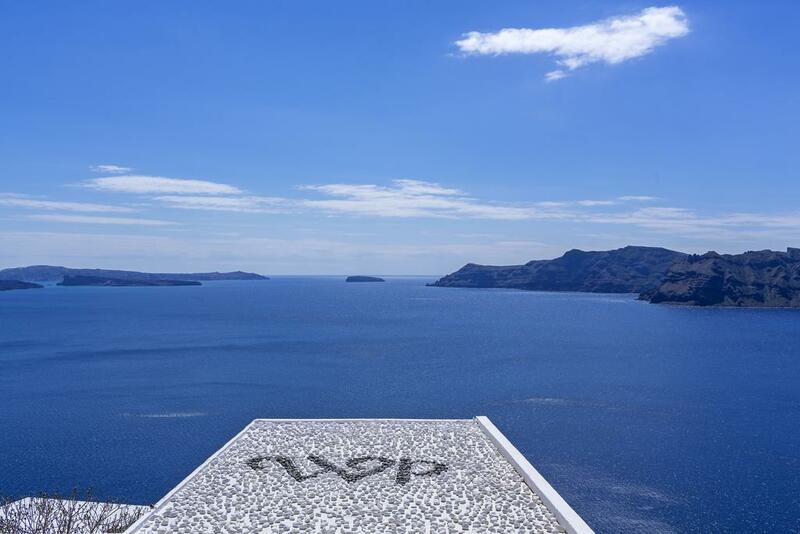 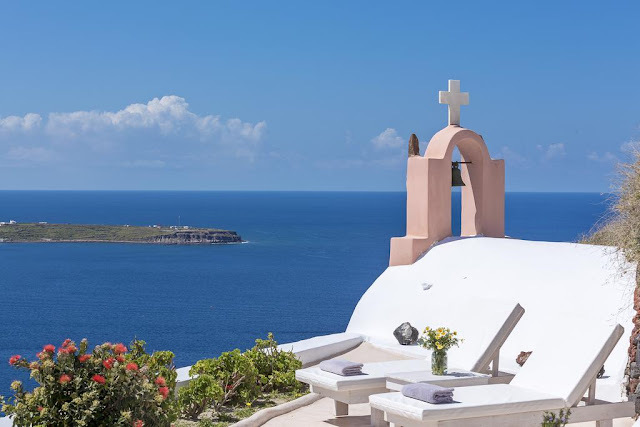 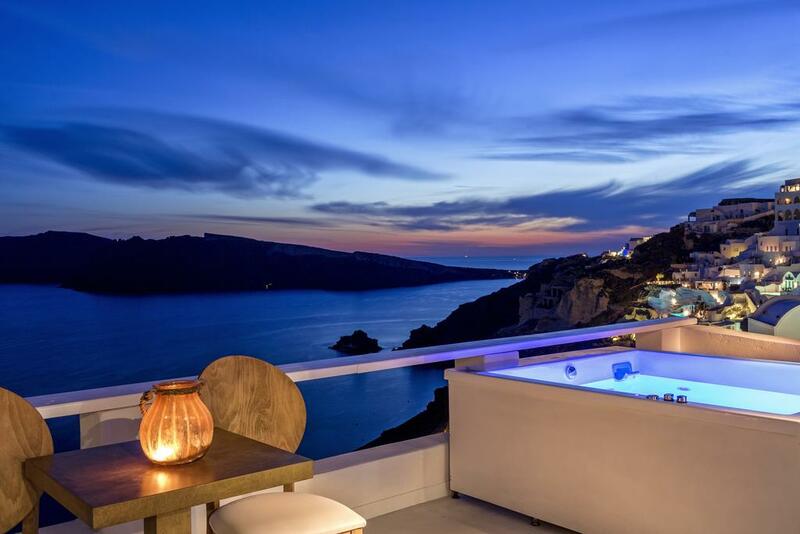 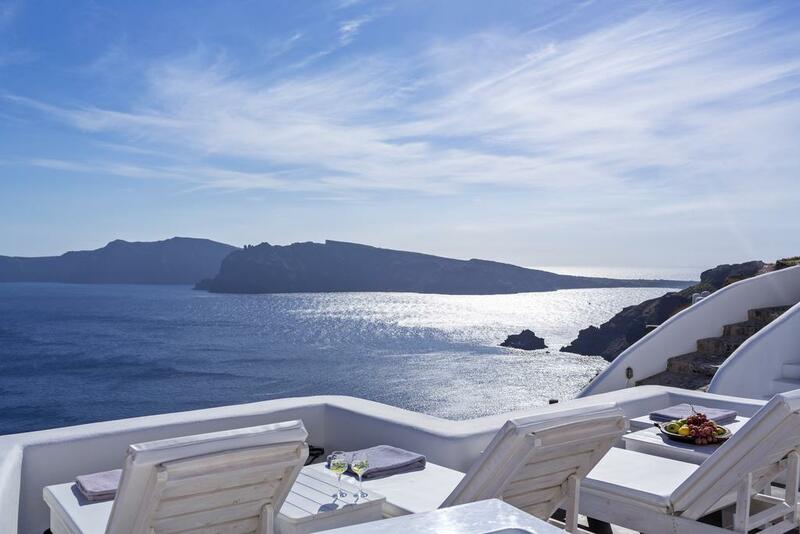 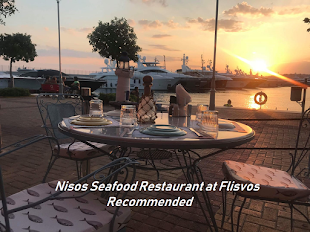 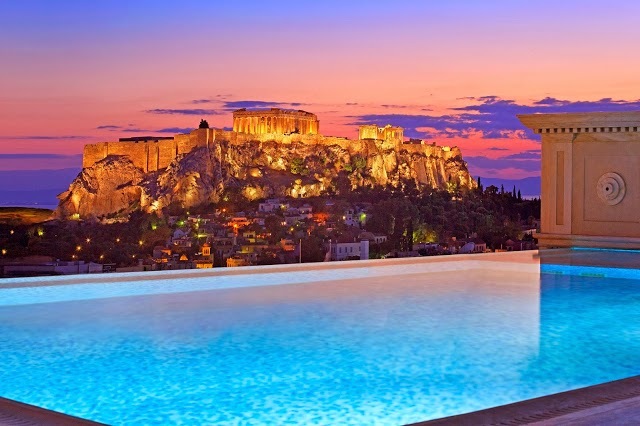 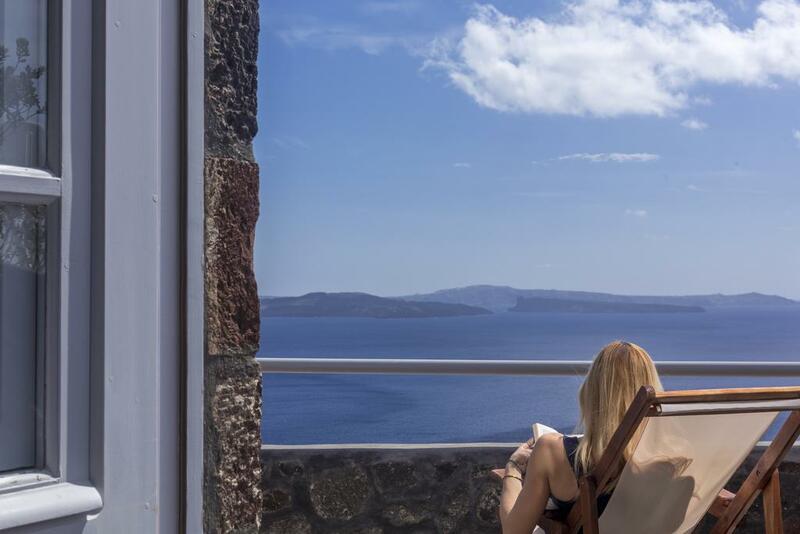 The villas promise a once-in-a-lifetime vacation experience, with their breathtaking views of Caldera, the volcano and the Aegean, their stunning architecture, immaculate aesthetics, and unsurpassed comfort, style and amenities. 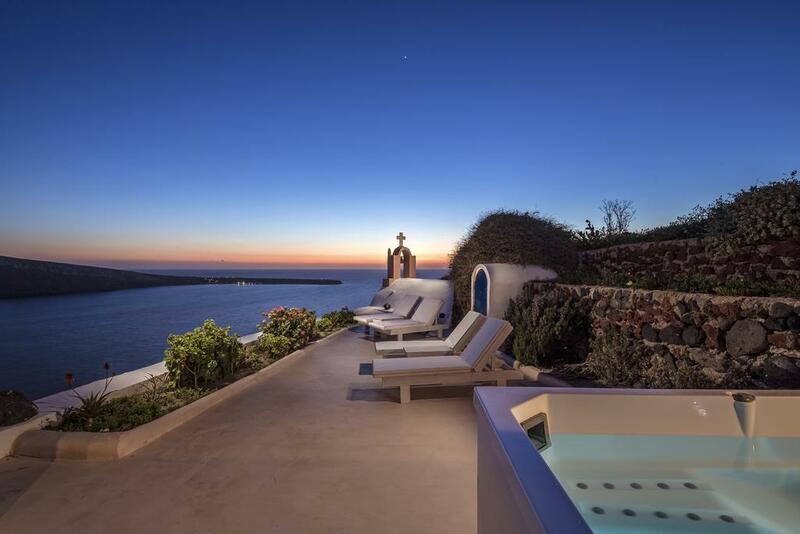 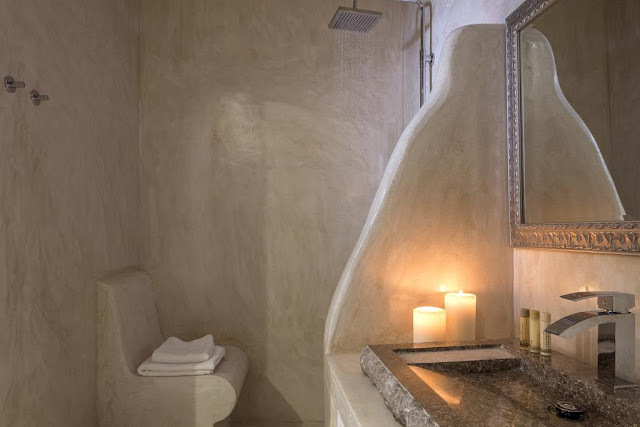 Each villa has a unique layout –being carved in the volcanic rocks-, indoor or outdoor Jacuzzis and plunge pools, ultra-romantic ambiance, a wealth of amenities, and sensational vistas. 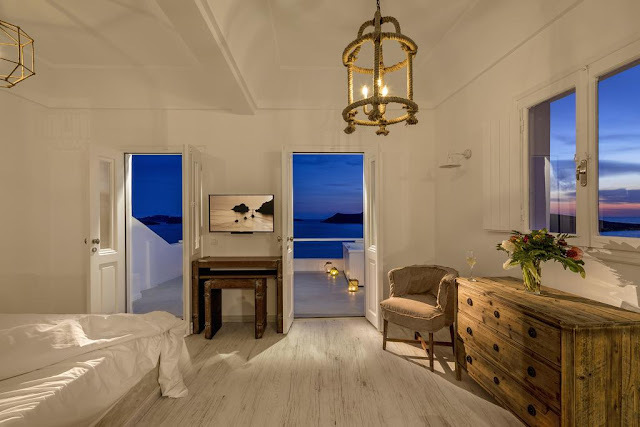 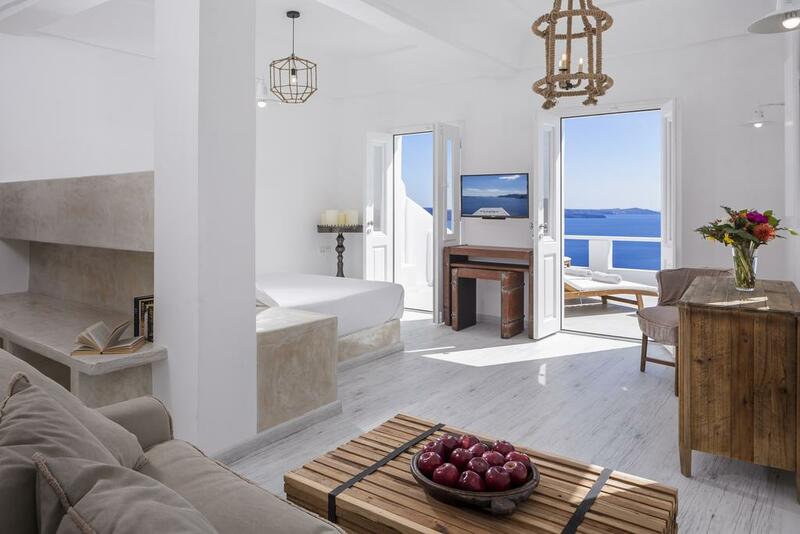 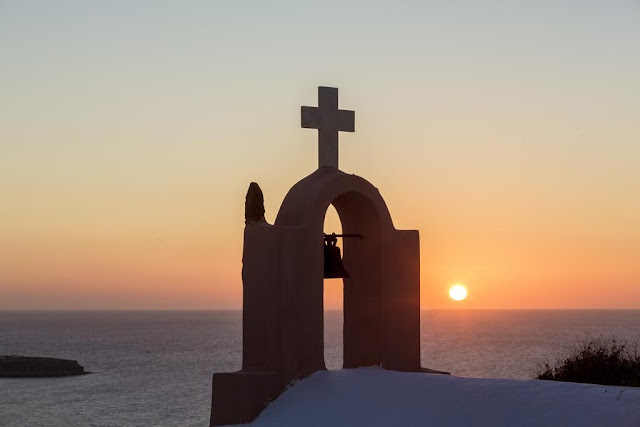 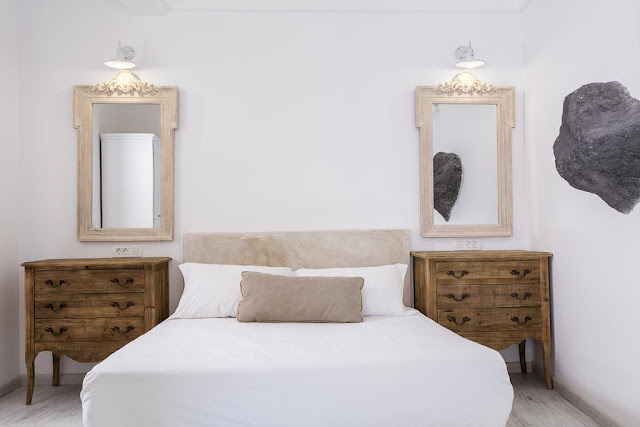 If you are seeking for villa accommodation in Oia Santorini, look no further than the stunning White Pearl Villas; where ultimate privacy, luxury and style redefine island chic. 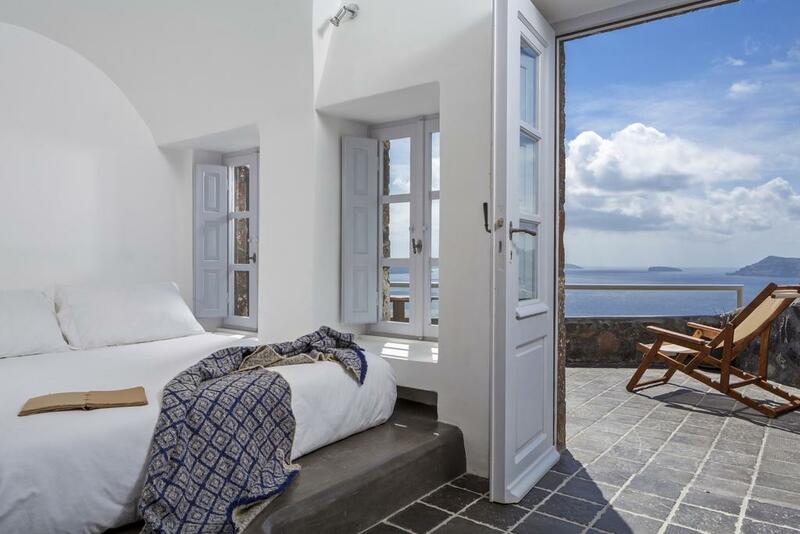 "Full Moon Villa" is a spectacular 40 square meter villa, with awe-inspiring vistas of the Aegean, the volcano and Caldera, thanks to its ultra-wide stone façade, large windows and balcony doors. 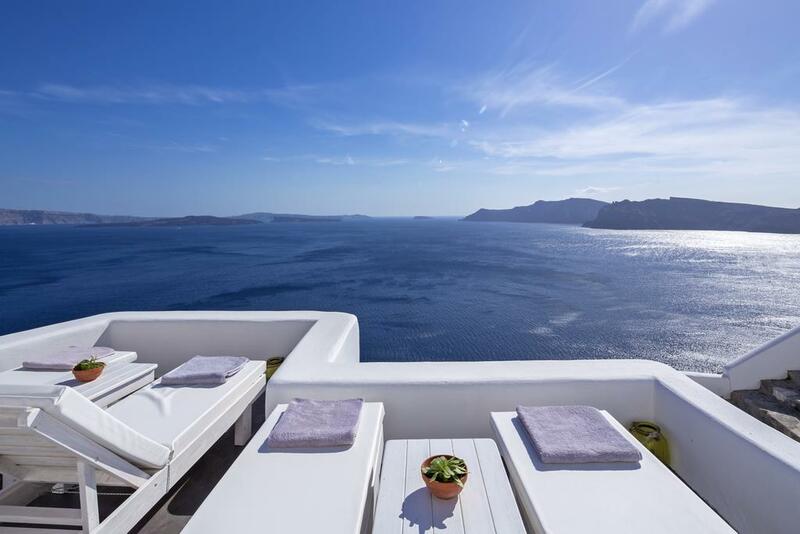 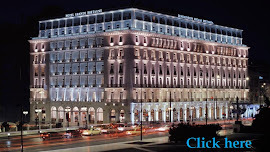 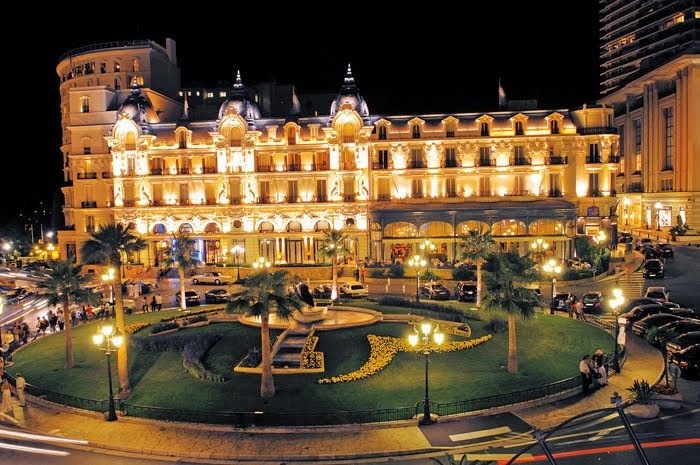 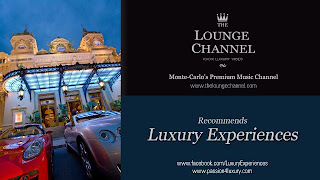 Its private veranda is equipped with outdoor furniture and chaise longues for ultimate comfort. 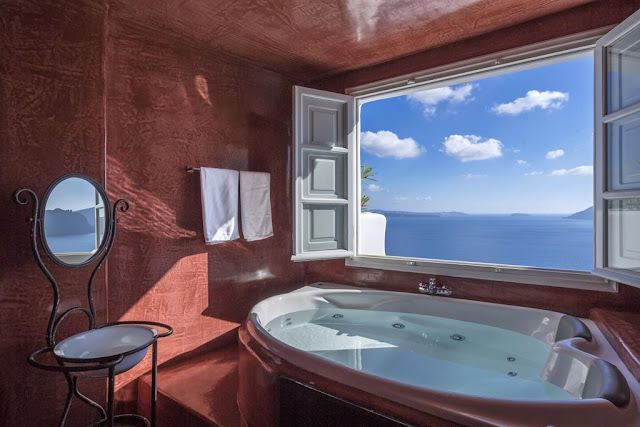 The villa features a queen size bed, tucked next to the windows –taking advantage of the view-, autonomous air conditioning, an indoor Jacuzzi tub, a spacious sitting area with coffee table and big flat screen satellite TV, complimentary Wi-Fi access, a beautiful bathroom with a shower and complimentary toiletries, slippers, bath and beach towels, as well as a fully equipped kitchenette, with mini fridge, stove, espresso maker and kettle.